Hustle Boss viewers may remember seeing Ruiz pop up on our YouTube channel a few years back during one of our trips to Oxnard, Calif., inside of the Robert Garcia Boxing Academy. Ruiz’s career has taken its share of twists since he turned pro in June of 2011. He has suffered decision losses to the likes of Jessie Magdaleno, Manuel Avila, Alexis Santiago, and others, yet his carer again seems to be on the upswing in the wake of his big win over Martinez. Between January 2015 and February of this year, Ruiz dropped four losses in six fights and it would have been easy for him to question his career. 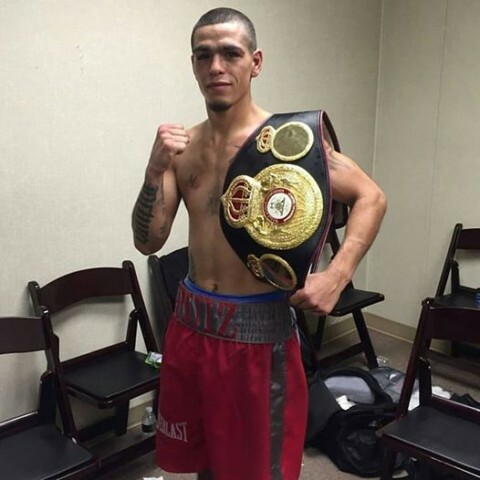 But a split-draw with unbeaten Horacio Garcia this past May, in a fight many felt Ruiz won, helped pick up his spirits and this triumph over Martinez will open more doors for the 25-year old. Ruiz was lively and sharp vs. Martinez, as he elected to use his boxing skills over the course of ten rounds as opposed to brawling. Martinez was game and tough, and never stopped coming forward, yet he couldn’t fully figure Ruiz out. Final tallies reading 98-92, 97-93, and 95-95 saw Ruiz come away with the victory. Stay tuned for more post-fight results from Las Vegas.